Now that the Convent will be my permanent home, and I have no immediate plans for work, I’ve realised it is important that I make the most of what I’m doing at the Convent and also do justice to the garden produce. After the first planting of the garden beds, I know now to plant what I will actually use, not just what seems interesting to try and watch grow. This round of veg is very practical – things I know will grow and I will eat. Lots of leafy veg, my mini tomatoes, cucumber, zucchini, capsicum, beans … and I’m beginning to benefit from the produce. 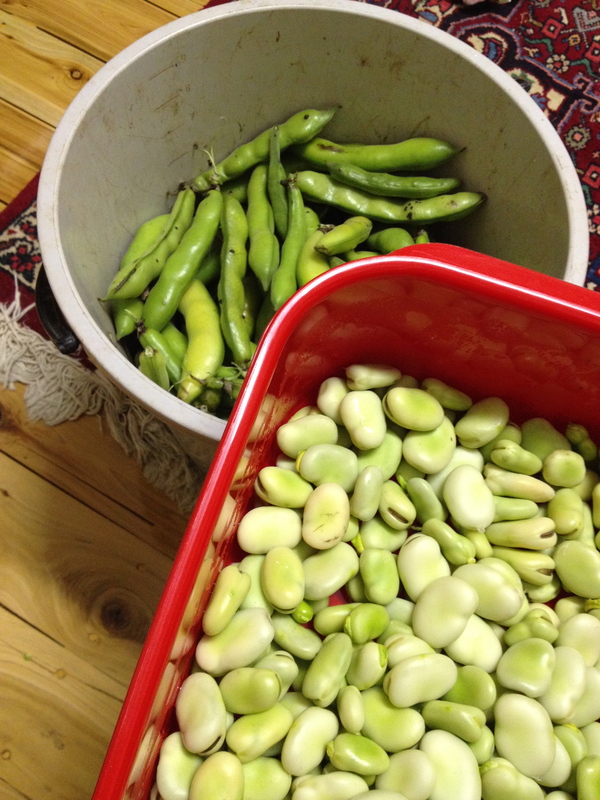 I had a now deleted draft post on whether the broad beans were worth the effort. I had planted them in a few spots, not knowing how they would behave and for a long time I just had l tall plants taking up room but not doing a lot. How wrong I was. After suffering unruly plants falling all over my garden beds and dominating other plants, I’ve now harvested over 4 kilos of podded beans to place in my freezer. That’s after eating and giving away possibly that much again. They were heavy cropping wonderful produce and will again be included, although not in the raised beds – they are better against the wall where I can stake them against the heavy Kandos winds. 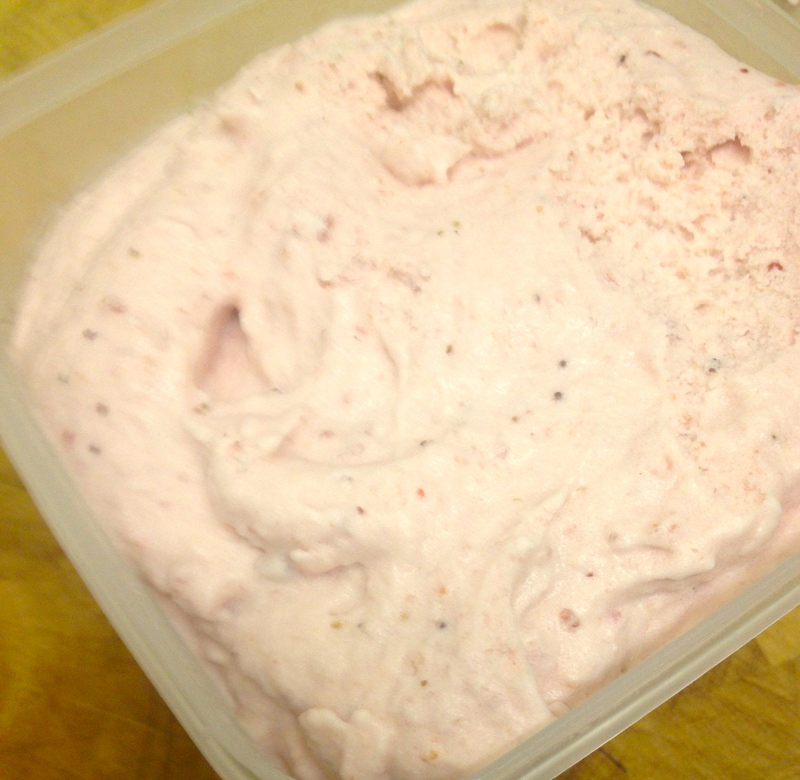 I’ve been picking half a dozen strawberries a day to include with my breakfast and they took quite a hiding from sampling visitors during the garden fair, but I’ve managed to pick 400g for the first batch of strawberry icecream which is now sitting in the freezer. I’m looking forward to the removalists arriving next week as I really need my big fridge here. The berries are only just starting and I can see Youngberries, Blueberries and Rasberries all forming and some beginning to show colour. Not sure I will have enough for jam this year but there will me more icecream and some syrups to put away. The herbs are going crazy and I’m letting plants go to seed so I can continue to propagate without purchasing new plants (I hope). 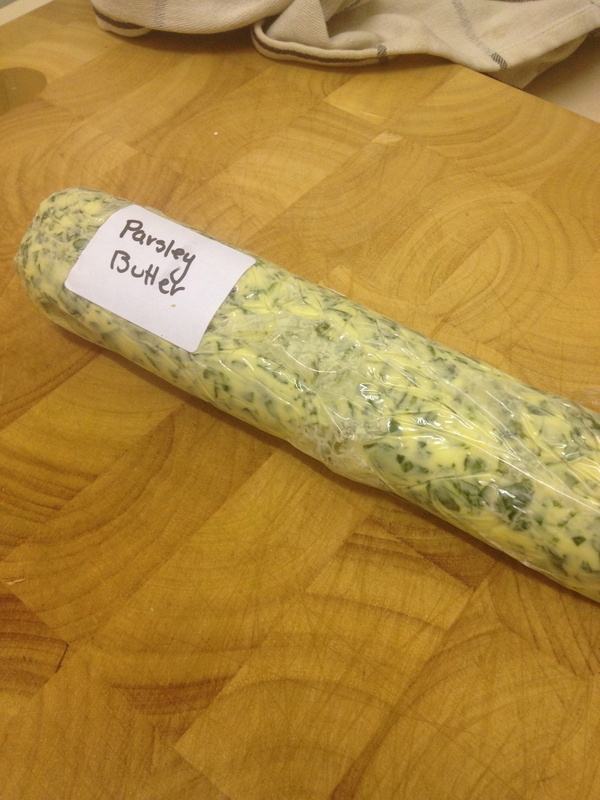 Next on the list is storing some herb butters – parsley, tarragon and chive are the obvious ones. I’m enjoying the industry, but I also appreciate the practicalities of owning and running the property and making the most of the efforts put into establishing the garden.